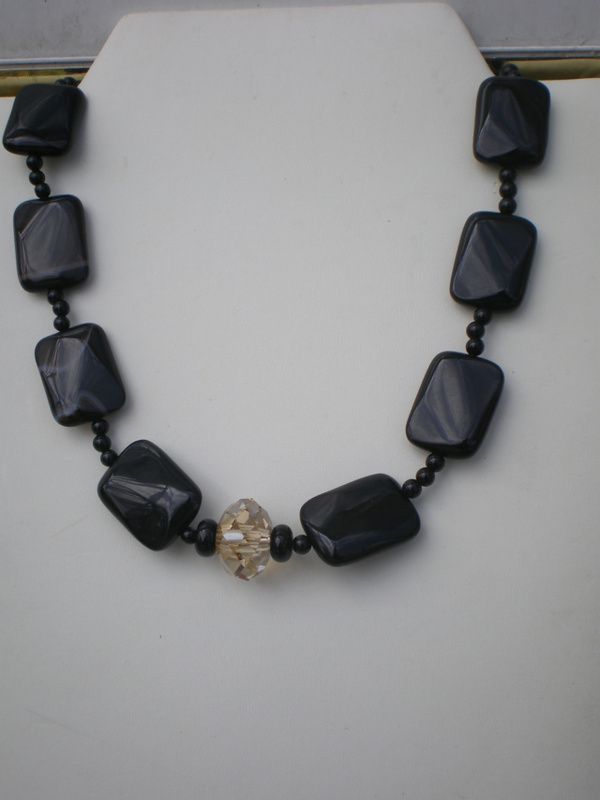 Handmade beaded 17 1/2″ Necklace, onyx rectangle beads accented with 4mm round onyx beads,jet swarovski bicone crystals prior to Large decorative brass toggle clasp. 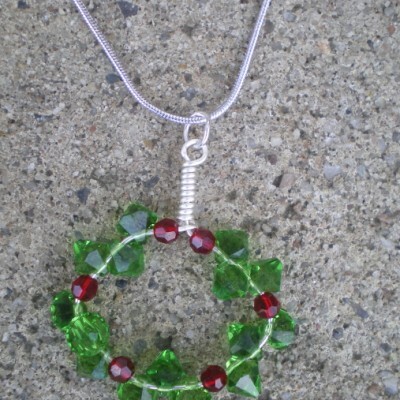 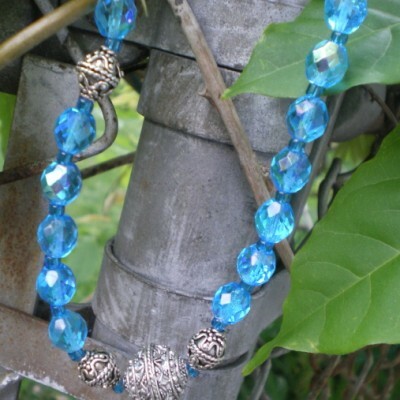 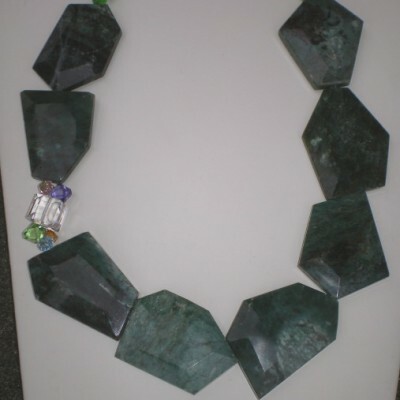 Large light topaz swarovski crystal rondelle as focal point. 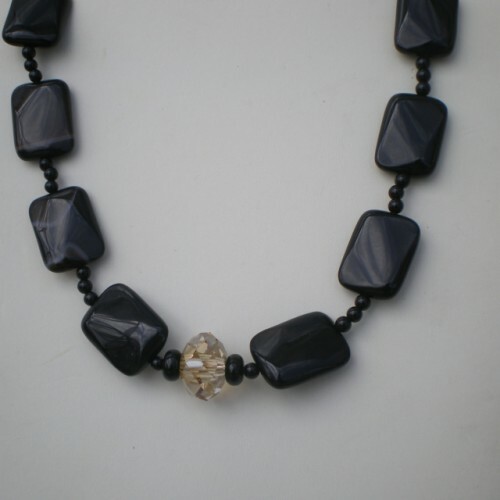 Be the first to review “Onyx Necklace” Click here to cancel reply.